Sadly, it was accidently stepped on while on my front porch. When I looked under my friend's foot, I found the remains. 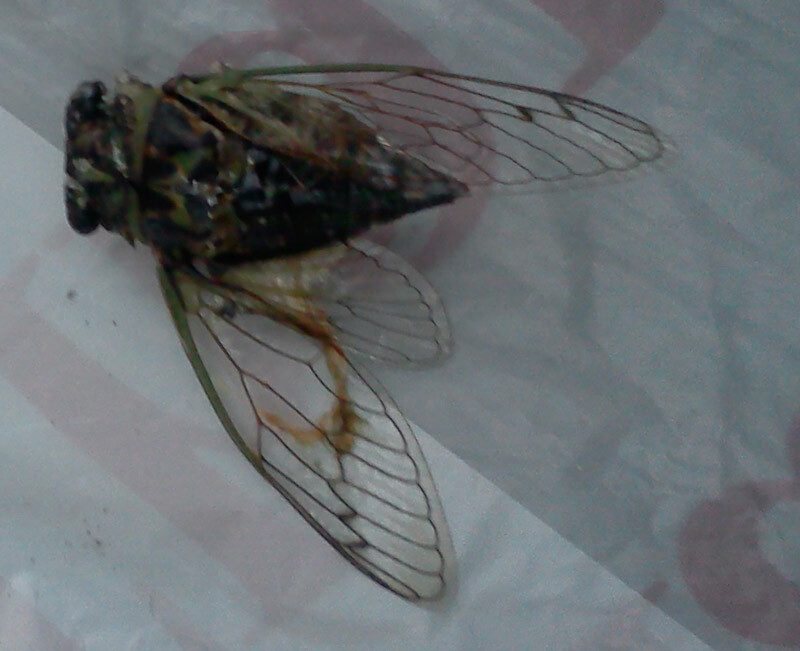 (We didn't know what it was but photographed it, badly I'm afraid, and went online to find it was a cicada).